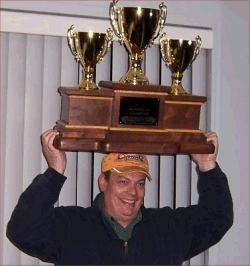 It was a hot summer of racing for our 2005 ECIRS Champion. 3 final rounds from June to August helped Jeff cast his name into the ECIRS history slate. It started at his home track Lebanon Valley where he took home 70 runner-up points. Then to Island Dragway's "Big Kahuna Open" where Jeff found the final round win light and 81 champion points. That win began his reign at the top of the point chart and from then on Jeff just kept it fast steady and consistent. Race #7 at NY Int'l Raceway Park was the location of Jeff's 3rd final round appearance and 70 more champion points. Jeff brings his LT1 Caprice out of Connecticut to attend ECIRS racing events. Our 2005 champ has been a steady top 10 point contender since he joined ECIRS in 2002. 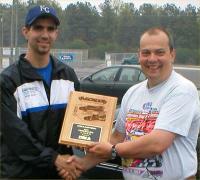 Other past event wins have been the POSSI Drag Day in 2003 and also in 2004.